Léna Roy: What Are You Doing New Years' Eve? It's the Eve of the New Year, a time to ponder over the past one, and send energy out for the new. How was your year? What are your hopes for the new one? 2010 marks my moving through a lot of fear - I started blogging, I moved, I published. I put myself out there in a wholly new way, shedding old skin to make way for the new. My hopes for the New Year are tangible, but I'd like to get to a more ethereal place. Yeah, we all would like a book contract or two, right? And how about financial security? 'Nuff said. I am celebrating this New Year with my family, my mom, and some of her friends at Crosswicks in Northwestern Connecticut. We have done this for a few years in a row now, establishing a tradition - the kids are excited to stay up as late as they want to watch the ball drop, and to play Apples to Apples and Trivial Pursuit, maybe watch a movie, nibble and snack. My mom also presented them with gift cards from www.globalgiving.org where they can choose their own charitable contribution. I am extremely grateful to be able to take them into the New Year giving to other. And my late Christmas present from my mom came in today's mail - perfect timing: my very own Kindle! Finally, I will join the ranks of e-readers. A Kindle - something I would never procure for myself but am giggling with delight over. Something I feel that I can't afford - but a gift, making me feel rich! Is this a premonition of things to come - will I leap into the New Year with more technological savvy? Will I leap with faith that book contracts and job security will happen on their own time and when they need to? I was happy to pay $9.99 for Edges, and thrilled to find that I could download my great-grandfather's out-of-print books for 99 cents each. (Yes, Madeleine L'Engle's own father, Charles Wordsworth Camp was not only a journalist, but a playwright and the author of mystery novels!) My first read will be The Gray Mask. So . . . I will ring in 2011 with hope and gratitude, love and joy. With a focus on the journey, rather than specific accomplishments. And remember the words of Mick Jagger whenever I hit a road block: You can't always get what you want, you can't always get what you want, but sometimes, you just might find, you get what you need! I wish you all the best in the year to come! Thank you for sharing this journey with me! Let us know how you like the Kindle. And Happy New Year to you and yours! What a great New Year you are having. I had great day because some writing occured! Tonight we are quitely (and somewhat bored) at home. Hubby has Shingles and we are worried about friends in St. Louis who were in the tornado today and we can not reach tonight. Happy New Year to you! Happy New Year Alison - I'll be sure to let you know! Bookie - I'm sorry about your hubby and I hope that your friends are okay! And I'm glad you had a good writing day. The kids are the ones who make sure we are celebratory - before having them my own hubby and I would go to bed extra early! Now I'm glad that 2011 is here. Bring it on! Seriously, I want you to know that I am deeply moved by your poignant writing, the first book of many, I hope. I was so sad that it ended, wanted Luke to be a teen next door or a nephew, could feel the warmth of the sunlight in your exquisite descriptions and connected in a bittersweet way to the parent/child -loss/gain. You wrote it so well without forcing anything. In recent months, I said goodbye to three important women in my life. My dear sweet Mom passed at 94 after a long, healthy and amazing life as a pianist and teacher. She had played Bach and Chopin here at the house for your Gran. A week later my beloved voice teacher (and 'Jewish mom') passed and now my friend Agathe Von Trapp, who has been the driving force and encouragement for the book I am writing has also gone to heaven. Today, reading EDGES, it helped to connect with the universe on the Upper West Side and out West on the mesa in your night. It was crucial to read some realities with drugs and alcohol for your characters. You know this will be important for readers making decisions in difficult times. I stopped at the bear's embrace of love and thought, of course, of Aunt Beast. And, you should know, that I can objectively say that had someone else written this book, I would still have seen the connection. EDGES has begun my year with peace, joy and a new level of faith I am feeling today. Later I will devote time to my rough draft and think of you cozy in NY with your family. Dear MaryJo - thank you so much for your long note - I have reread three times with tears in my eyes. I am so sorry for the pain of your losses. I am heartened that you chose to read Edges to start off the New Year and "reconnect" with the Universe. And I hadn't made the connection between the bear and Aunt Beast before I read your words, but of course! How could there not be? We all live lives on so many different levels of consciousness, don't we? 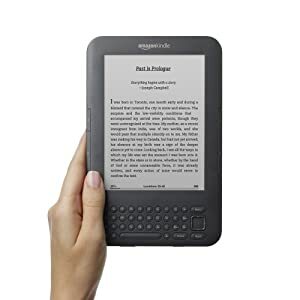 I, too, received an e-reader for Christmas. My hubby and kids gave me a Nook Color. I'm so excited! It sounds like 2010 was a great year for you. I wish you the best in 2011 as well. Thank you Dawn! I downloaded Grimm's Fairytales and have been reading them out loud to the kids - it's great on an e-reader because our copy is so old and dusty it makes me sneeze! I was busy in essay writing on new year's eve anyway what a nice technology is here and i am impressed to see it anyway i always visit best-essay-writer-online.blogspot.com page to get most beneficent information that will help me in my exam. Hey, this is really A beautiful article and I also tell you about a hosting company that is virmach which is really a good vps hosting company for their service and price, both are super good.